So I have a secret. A dirty little secret. 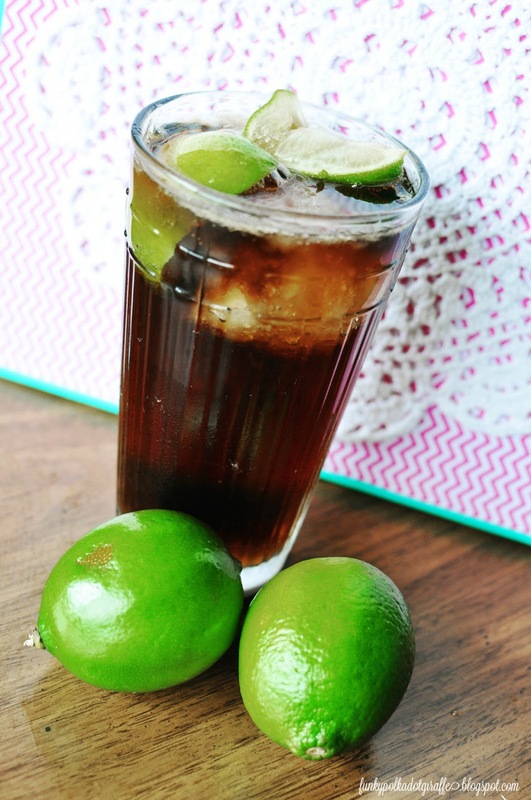 A dirty little Diet Coke secret. And today I'm ready to confess my dirty little Diet Coke secret to you. I like my Diet Coke dirty. For about 3 months now. True story. at a Southern Utah drink stand called Swig I had to know more. 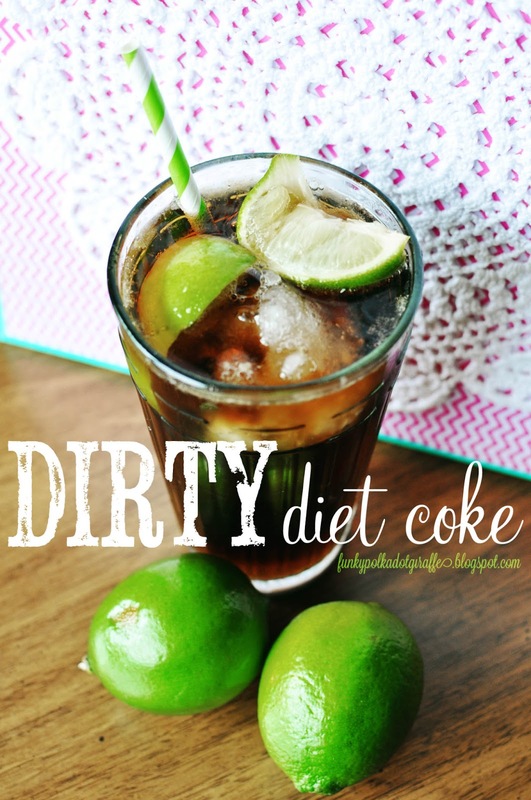 So I began my research and discovered just what a Dirty Diet Coke entails. 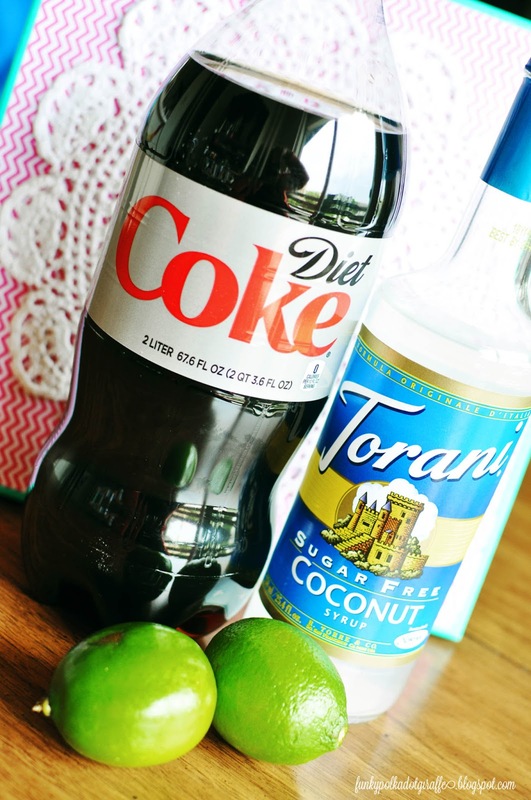 bottle of Torani Sugar Free Coconut Syrup and the new addition was oh, so delicious. However, as I continued to research, I discovered that I was missing a key ingredient - LIME! and I how I make mine at home since Swig is oh, so far away. Crush your ice or pick up some nugget ice and fill your 16 oz glass about half full. 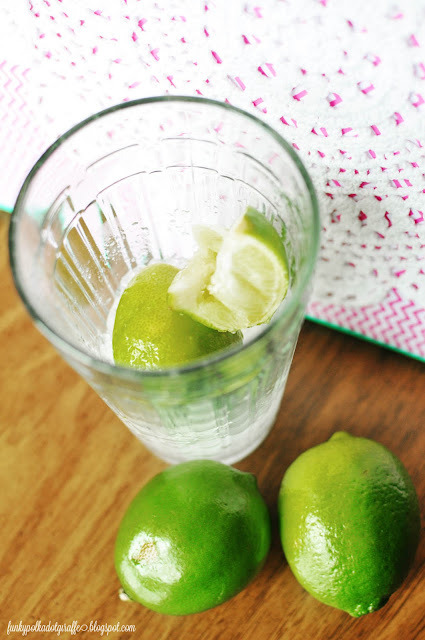 Slice up your lime into fourths. I use two lime wedges. I like it extra limey. Squeeze the lime all over your ice and then toss the limes in the glass. Pour in your Diet Coke almost to the tippy top of your glass. Then, pour in about two tablespoons of coconut syrup. but I always forget to pick one up. and then start sipping away and be ready for Diet Coke Nirvana. 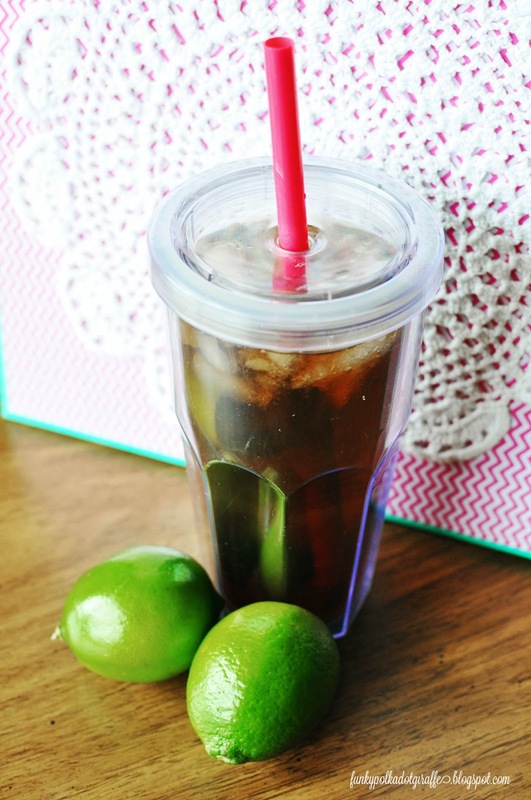 so I can take it with me and not have to settle for regular old Diet Coke again. Once you go dirty, you'll never go back. I promise. inlaws' house so I could sneak in and mix it up - I told you, a dirty secret. "Are you ready to drink the best drink you've ever tasted?" (nothing new 'round these parts, folks) and he took a sip. The look on his face was one of pure surprise. Like he didn't believe my above statement. He said, "Hmm. What's in that?" I said, "That's MY dirty little Diet Coke secret." So mix up and enjoy! In true OCD hoarder style, I bought out my S&F of the sugar free syrup the last time I was there. I heard from a few little birdies that it may be hard to find. to see how they get extra naughty with their Dirty Diet Coke. with a darling handmade Dirty Diet Coke kit. And don't say I didn't warn ya! Thank you for clearing this up for me!! I've been seeing posts all over instagram and had NO idea what it was. :) Prolly gonna have to try it out. This looks so refreshing! I love coconut anything! That sounds yummy! I'll have to try that now that I can drink Coke again! 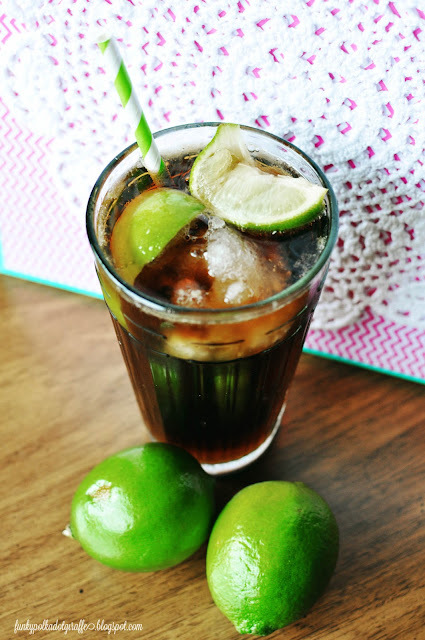 Coconut and lime is the best combo ever!! I am new to the dirty diet coke, but I am hooked! Your blog photos are adorable btw.